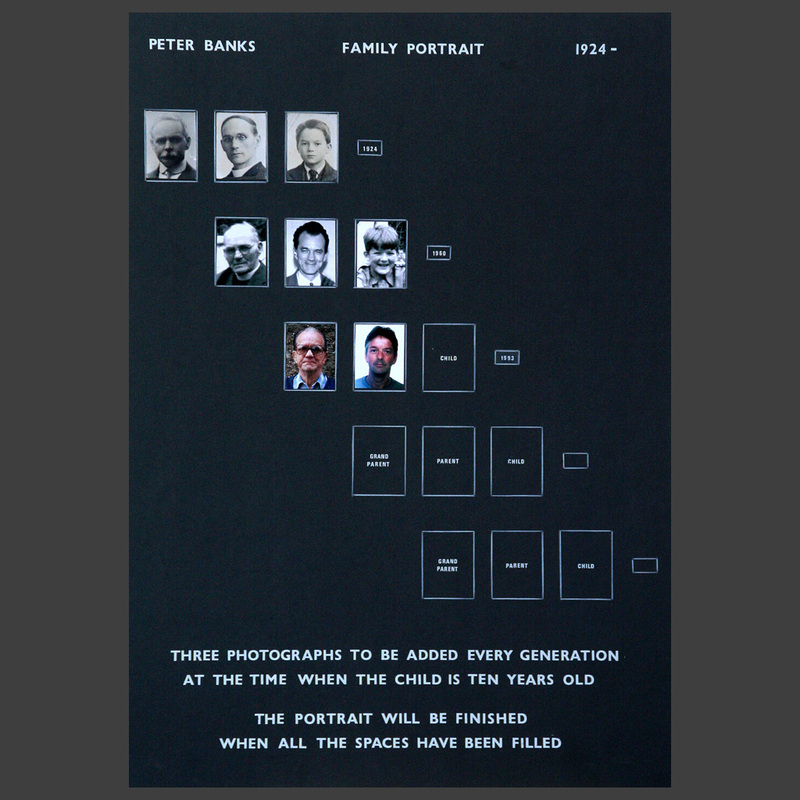 Started at the same time as the self portrait, this piece sets out to document a family history over several generations. 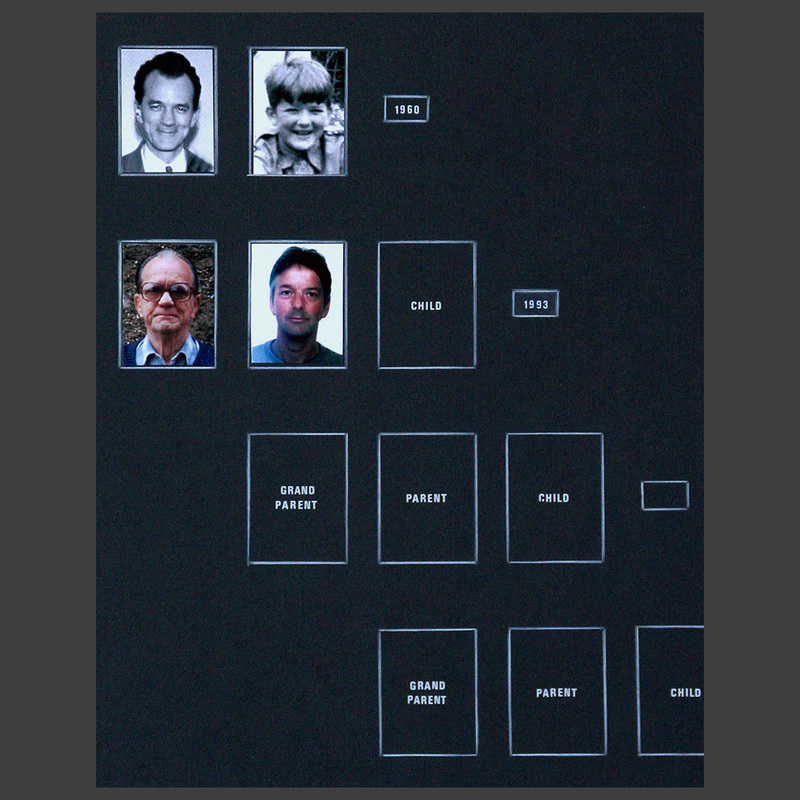 It starts with the artist’s father as a child, along with photos of his grandfather and great grandfather. In the next line down the artist appears as a child and the great grandfather disappears. 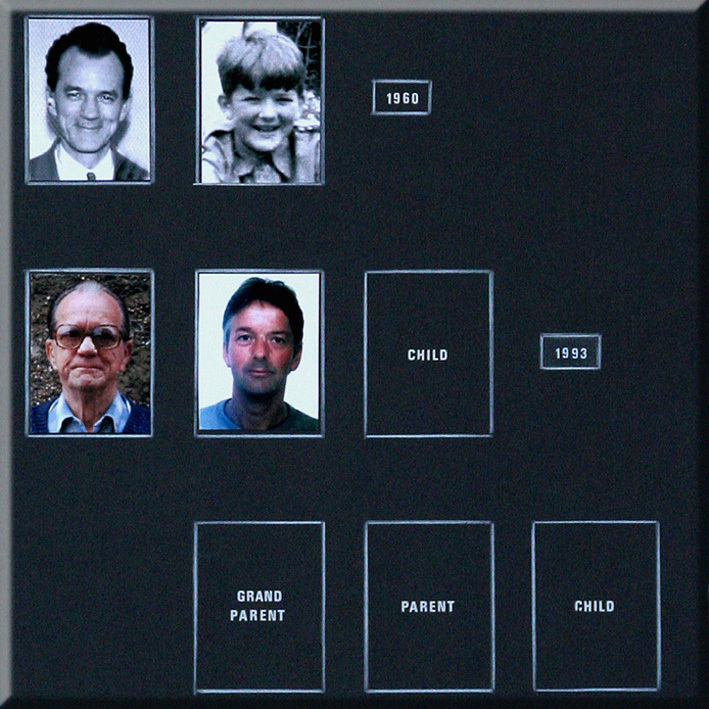 The intention was to continue the process, with a new child appearing each generation and the person in the grandfather box dropping off. As the artist has no children, however, the sequence is progressively coming to a stop. Only one more box remains to be filled before the end of the line. The other boxes will remain permanently unfilled. 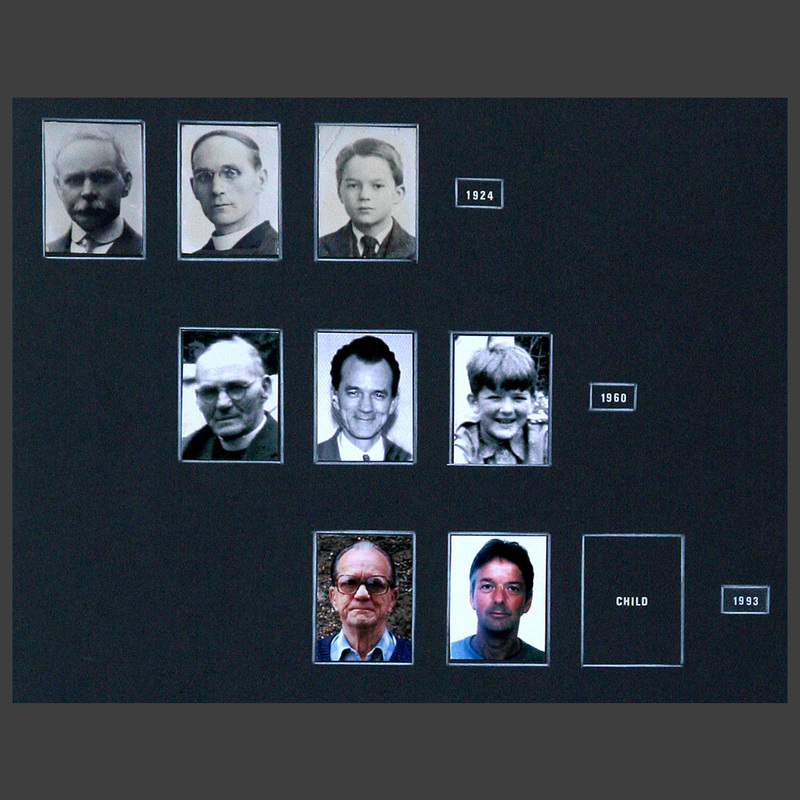 This piece sets out to document a family history over several generations.